WATCH: The game is due to be streamed live on Dinamo Minsk’s YouTube channel here. City have a huge job on their hands as they travel to Belarus this week attempting to overturn a 2-0 Europa League first leg deficit at Dinamo Minsk. 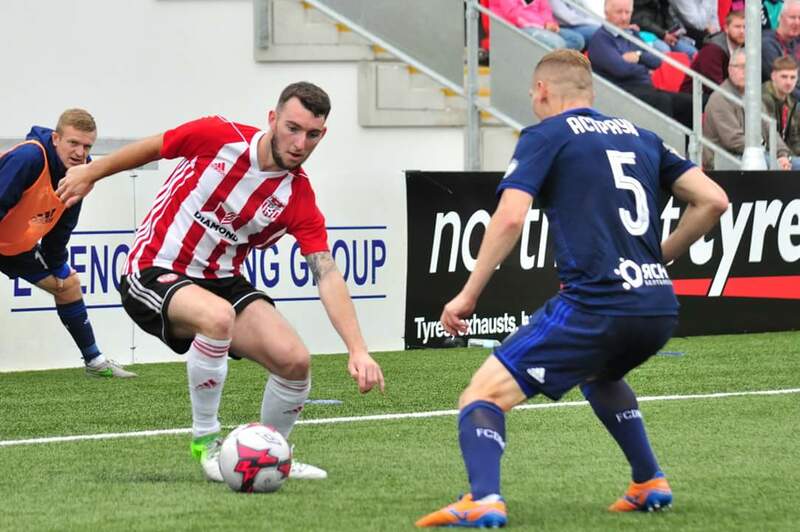 Whilst not insurmountable, there is no doubting that the Candystripes will need to be a bit more adventurous than they were at the Brandywell on Thursday night if they are to have any chance of progressing. It’s a situation Kenny Shiels is well aware of and the City boss was upbeat ahead of Tuesday’s flight. On the team front, Shiels will have to do without midfielder Nicky Low who has missed the past month with an abdominal injury, and Conor McDermott who was sent off for two yellow cards in that first game. Fortunately for the visitors they do have options now that all the new signings are available and while Minsk will be red-hot favourites to progress, Derry will hope to make a real game of it. Incidentally, the match will be played at the National stadium in Minsk- the first the club has played at their ‘spiritual home’ since 2012 as the venue underwent a facelift. Dinamo are expecting a crowd of over 10,000 for their return to the ground while the game is expected to be streamed ‘live’ on social media. You can also follow the match via our social media presence.